As a locksmith in Leyton, we are able to offer a range of locksmith services to customers throughout Leyton and the surrounding areas. All of our locksmith services are available on an emergency basis and we aim to reach all call outs on a 20-30 minute basis. Our locksmiths at London Locks, are available on a 24 hour basis, 265 days a years. We pride ourselves on providing a first class and dedicated services to all of our commercial and domestic customers. No matter what time of the day you need a locksmith, you can count on London Locks. We have been operating throughout Leyton for over 14 years and our locksmiths have honed and developed all the skills needed to ensure a professional and efficient services is provided. When it comes to needing a locksmith in Leyton, be sure to get in touch with London Locks. When it comes to needing an emergency locksmith in Leyton, be sure to make London Locks your first port of call. Whether you’ve lost your keys and your trapped outside in the cold or if your locks seized up and your stuck in the house, then you can count on our team of locksmith to help. We offer a fast and friendly emergency locksmith service which we pride ourselves on. 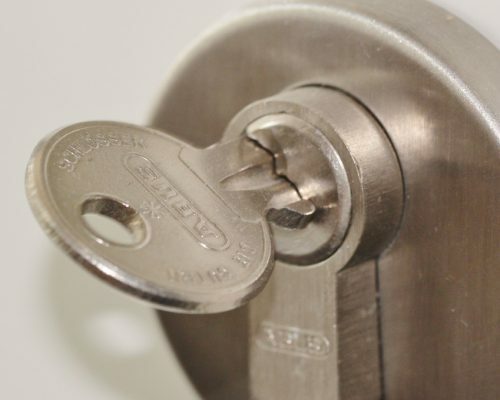 Having worked throughout Leyton for many years, we have developed a well-known and respected reputation for the emergency locksmith services we provide. All of the locksmith services we offer are available on an emergency basis. No matter when you might need a locksmith, you can count on London Locks to provide you with a professional and efficient range of locksmith services. Our team at London Locks, believe in providing advice and guidance to our customers throughout Leyton to help keep their property safe. One of the best pieces of advice we give is to always double check your windows and doors are locked. Whether you’re just leaving the house or your five minutes away, don’t hesitate to go back and check; it’s better to be safe than sorry. When leaving spare keys consider using a keyholding service, rather than leaving them with a friends or neighbour. With our keyholding service, we’ll hold a copy of your keys and give you access to them no matter what time of the day or night you might require them. If you’ve recently moved into a property, then you should consider changing the locks, most landlord do this when tenants move out, so why shouldn’t a homeowner do it when they buy a new property? Having your locks changed means only you have access to your property. As professional locksmiths in Leyton, we understand how important it is to be there for you right away. Your security is your first priority, and it is ours too. So regardless of your reasons to call a locksmith such as London Locks, it’s good to know we’ll be there for you. No matter your needs for requiring a locksmith in Leyton, look no further and call London Locks. Our friendly and professional team always aim to be with our clients as soon as possible, giving you comfort and confidence in all our service. Avoid disappointment and be sure to give London Locks a call today for the best locksmith service in Leyton and the surrounding areas. If you’re based in Leyton or any of the surrounding areas and are in need of a locksmith, then be sure to make London Locks your first port of call. We offer a range of emergency locksmith services to both our commercial and domestic customers. From key cutting to keying alike, you can count on London Locks to assist you with all you locksmith requirements. Get in touch with London Locks today if you’re in need of a professional and efficient locksmith in Leyton. What types of locksmith services do you offer? At London Locks, we offer a great range of locksmith services to both our commercial and domestic customers throughout Leyton. Some of the most popular locksmith services we offer include emergency call outs, lock repairs, key cutting and much more. Get in touch today if you’re in need of a locksmith. How much long will it take a locksmith to get to me? We do our best to attend all locksmith call outs as quickly and efficiently as possible. It’s our aim to attend all locksmith call outs in Leyton within 2-30 minutes. When this isn’t possible we’ll give you an estimated arrival time. What does an emergency locksmith call out cost? All of our emergency call outs are priced on an individual basis and the cost will depend on the type of locksmith services you require. We price all emergency locksmith work in Leyton on an individual and highly competitive basis. Here at London Locks, we offer a comprehensive range of professional locksmith services to customers throughout Leyton and the surrounding areas. Our services cover a number of things such as lock replacement, key cutting, keyholding, burglary repairs and much more. No matter what type of locksmith service you might require, you can count on London Locks to provide it for you. When it comes to needing a locksmith in Leyton, be sure to get in touch with London Locks and we’ll be more than happy to assist. How do I arrange a locksmith in Leyton? If you’re based in Leyton or any of the surrounding areas and are in need of a reliable locksmith, then all you need to do is get in touch with London Locks by phone or email. Our team are always on hand to answer questions and deal with any enquiries that come through. Why choose London Locks for locksmiths in Leyton? We have been providing our range of locksmith services to customers in and around the Leyton area for many years. With years of experience in the industry, we have all the skills and knowledge needed to ensure professional and efficient locksmith services are provided. No matter what your reason for needing a locksmith might be, you can count on us. Get in touch today! Should I change my locks when I move property? 100%. If you’ve moved into a new home, it is crucial that you get the locks changed. The small price of calling a locksmith to change the locks is highly recommended by us. Not only for your security, but safety too. If the last owner still has a set of keys, they could easily reenter the property at a later date. What do I do if my key brakes? If your key brakes, then come to London Locks. If the key has broken in the lock, don’t panic as we will do our best to repair the lock with minimal damage. If your key has broken outside of a lock, then let our professional team cut a new set for you. Do I need to change the locks if I lose my keys? Absolutely. Although it is unlikely for someone to find the keys and know where you live, (unless you have person information on the keys) it is always worth having your locks changed. It’s best to be safe than sorry, so come to London Locks where our professional team will replace your locks for you. Remember, if someone gains access to your home with keys, your insurance may not pay out. Here at London Locks we are extremely proud of our locksmith services in Leyton. That said, we do not charge a call out fee for our emergency locksmith services in Leyton and the surrounding areas. The price you are quoted from us, is the price you pay!